There is a big difference between investing and, well, gambling and a disciplined investment strategy. On the surface, the difference may seem obvious, but unfortunately, all too often people don’t behave as if they know the difference. And it can cost them dearly. I’m teasing a bit when I say without a strategy you are gambling. Surely you want to make prudent investment choices, but if you are like most people, you make those choices based on recommendations from a friend, or something you read, or something you were sold. You may be lucky, and maybe you won’t, the point is this is random “stock picking,” is not an investment strategy. You have no comprehensive risk control. Familiar investment experiences without a strategy. 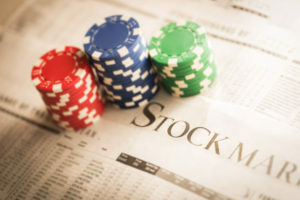 Random stock picking is important because your financial resources are too valuable to your well-being and that of your family, both today and tomorrow. The most common reason a new client comes to us for wealth management help is their experience without a strategy that cost them. Overwhelming and confusing information, promising sales pitches, and the effects of significant market volatility on their emotions caused them to make reactionary decisions that cost them lost wealth, poor performance and excessive taxes and fees. Once their capital is invested in a proper strategy, they gained a sense of control and confidence no matter the market conditions. So how does an investment strategy create stability without sacrificing growth? Have a Strategic Plan. For our clients, it begins with your strategic plan. You need to have a meaningful target to have a disciplined strategy. What is the minimum return you need to reach your financial goals sounds like the perfect target return to me. So, regardless of how wealthy you are, get that strategic financial plan done. You wouldn’t dream of running a business without a strategic financial plan so why should this be any different. Have an Investment Strategy. We then build an investment strategy to reach the goals set out in the plan using proper asset allocation. An investment strategy is really the decision about how to allocate funds across different asset classes so that working together; they achieve a long-term target return with the least volatility possible. Here at First Affiliated, we use the asset classes: cash, bonds, Canadian and International equities, as well as investment real estate and what we call the Specialty Class (which includes, alternatives, private equity and the like). Most financial management firms stop at stocks and bonds. At First Affiliated we use a tool called Efficient Frontier analysis to make those decisions, but that is beyond the scope of this blog. Suffice it to say, the result of taking an asset allocation approach is kind of like the pistons of a car engine. The various asset classes will move up and down in value given different conditions, but together they propel your portfolio forward as you are always winning somewhere all the time. And most investors spend all their time on security or manager selection, completely ignoring the risk controls a proper asset allocation strategy can bring! An efficient asset allocation strategy can offer improved performance beyond what each investment can provide. Once an efficient allocation is chosen, then and only then should you begin the task of investing the various pools of capital allocated to each asset class with carefully selected, best in class wealth managers or in specific investments. Re-balancing Once the portfolio is established, you don’t just get to sit on it. Re-balancing is critical to target continually. As the underlying investments perform, and as the economy and markets change, each asset class will move from its target percentage. To control risk, as well as maximize performance we want to re-balance back to target, selling out of those holdings that have done well and buying into those that are on sale. That is true contrarian investing, not market timing. That is disciplined investing, not betting. Asset allocation serves to achieve a target return as outlined in your strategic plan and preserve capital with the least volatility possible. It also reduces tax and fees and simplifies disciplined decision making. 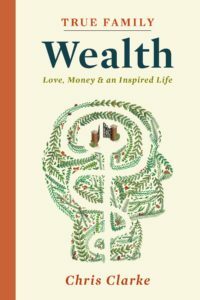 It eliminates the need to market time, which is challenging to get right most of the time, and costly when you don’t – which is hard on both your wealth and your relationships. Vow to stop scouring the media for the next big tip Take this one step today. Avoid all the cocktail parties where everyone brags about their last big stock pick but avoids telling you about their losers. Instead, ask your advisor to explain how their strategy fits with your family’s financial plan, and how they could work with you to use an asset allocation strategy to control risk. And remember, an investment strategy of only stocks and bonds is not an asset allocation strategy.